This summer, everybody is talking about the 2017 Mercedes-Benz CLA Coupe, which in addition to boasting stellar technologies, reliable safety devices, and some scintillating new exterior and interior designs also offers up some of the very best in performance features. In particular, you’ll be able to look forward to a standard turbocharged engine, a dual-clutch 7-speed transmission, a 375-hp engine, and 4MATIC® technology. Get the details on the CLA Coupe by reading on. The Mercedes-Benz CLA Coupe runs on a 208-hp turbo-inline-4 engine, which is able to pound out massive power while also benefitting from Direct Injection technology and rapid-multispark ignition. At the same time, its DYNAMIC Select system allows you to choose form a number of different modes depending on your needs. On the one hand, the Coupe’s transmission system has the feel of manual transmission, yet it’s as easy to operate as any automatic transmission system. Look forward to lightning-fast gear shifting and sporty driving, as well as shift paddles on the steering wheel. At the upper end, you can also elect for an even more powerful 375-hp engine that promises 26.1 psi of maximum turbo boost, as well as the power to accelerate from 0-60 mph in just 4.1 seconds. Finally, the Coupe’s 4MATIC® all-wheel drive system ensures that you’ll get top notch performance, being able to instantaneously channel 50 percent of the car’s power to the rear wheels on demand. Test Drive the CLA Coupe Yourself at RBM of Alpharetta! Best of all, you needn’t simply take our word for all this. 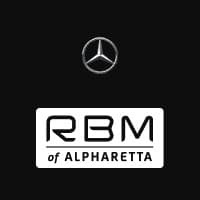 Instead, you’ll be able to test drive the 2017 Mercedes-Benz CLA Coupe for yourself simply by paying a visit to our RBM of Alpharetta dealership. Get in touch with us by completing and submitting this easy-to-use online form, and we’ll be sure to get back in touch with you ASAP. We look forward to meeting you soon at RBM of Alpharetta!